CoolGames8 - Ancient Spa Escape is another point and click room game developed by Cool Games 8. 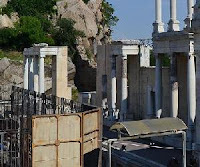 Plovdiv is Among the Reviews largest structures from the time of the Ancient Rome in the Balkan peninsula. Today, the northern curved part of the Stadium is partially restored and is one of the most recognizable landmarks of Plovdiv. 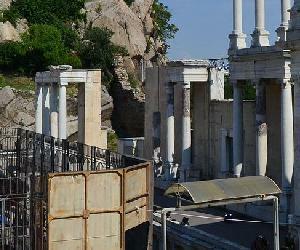 The stadium is one of the many preserved buildings from the time of the Roman empire in Plovdiv. Someone wanted to know the secret mysteries that existed thousands of years ago, and he got lost in it. Good luck you have fun! Can't get out of bedroom. How bizarre! Once you make it to the last room, there are no arrows to take you back to previous rooms to place objects. Not bothering to replay. It broken so dont bother.. I got to bed scene and couldnt move other scenes.. Odd... I suspect the designer intended the navigation arrow to the final scene to be disabled until you find and place all objects in the previous scenes. However, you can navigate to the final scene and find yourself stuck as other have reported. Therefore, the game is only beatable provided you hold off visiting the right-most scene until there is nothing more to find and place. Then, in the final scene you can pick up the one object there and place it to win the game. bugged game from coolgames8 .... SHOCKING!